Ever wondered what Homeopathy is all about? Homeopathy is a system of treating diseases in which sick people are given very small amounts of natural substances that, in healthy people, would produce the same effects as the diseases produce. It was first described by Hippocrates over 2,500 years ago. Since being rediscovered by German Physician C.F. Samuel Hahnemann (1755 – 1843) over 220 years ago. 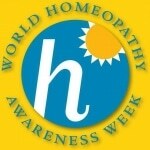 Homeopathy is now practised all over the World. It is a form of medicine that is used by millions of people. The testament to its survival is the experience that people have had with their desire to find a natural solution to their healthcare needs. People mistakenly think that Homeopathy is Herbal medicine. This is not the case. Homeopathy is minute, highly diluted doses of natural substances to trigger the body’s own healing abilities. Homeopathy is a complimentary therapy, which works holistically i.e. treating the whole person. It can be used in acute situations such as cuts, bruises, bites, sleep problems etc. Contacting a GP or calling 999 and getting medical help is of paramount importance if the situation requires it. For chronic health issues it is best to consult in the first instance your GP for their advice. You can contact an experienced, qualified & registered Homeopath too. It is important to let your GP know that you are seeking / having complimentary therapy. Homeopathy at Home minor ailment courses, these are very helpful for learning how to treat acute situations at home and prescribing with confidence, remedies that can help the body to deal with the situation in hand. Homeopathic remedy kits are available to purchase. Find out more about Homeopathy at Fountain Therapies by clicking the link or contact Sam Doyle for further info.